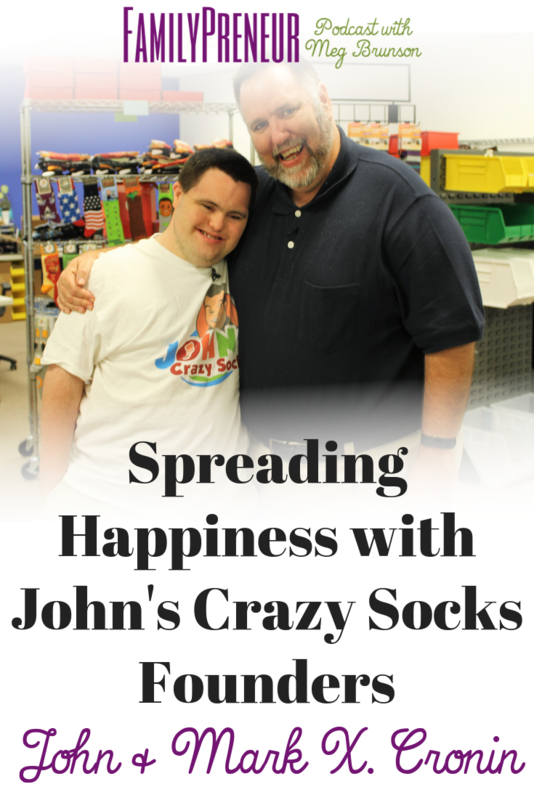 [Episode #49] Today I am excited to welcome the father and son co-founders of John’s Crazy Socks, a venture inspired by John, a young man with Down syndrome. John’s affinity for crazy socks paired with his love of making people smile made their mission clear: spreading happiness. John’s Crazy Socks is a social enterprise with both a social mission and an e-commerce mission. Every day, they want to show the world what people with differing abilities can do. They’ve created 35 jobs, 18 held by people with differing abilities. And they have shipped over 120,000 orders, earning over $4 million in revenue. Let's give a warm welcome to John and Mark X. Cronin! There are 2.1 BILLION Facebook Users – making it the biggest social media platform today. Your Clients are on Facebook AND Your Competition is on Facebook, so If you are not engaging with your clients, your competition will! You may have heard that the algorithms are changing and Facebook will be showing your Business Page posts even LESS often than they already are… if you want to give your content the best chance of getting seen, then you need to start implementing Facebook LIVE Videos. Go to MegBrunson.com/FacebookLive to download the FREE Workbook and Access the Figure out Facebook Live Course today! Mark & John tell the story of how John's Crazy Socks came to be. John was graduating school and was not happy with his options. Around the same time, the family business Mark and his wife had been pursuing closed, and they were on the lookout for a new opportunity. When John approached Mark and asked to go into business together, it all made sense. They explored some different ideas together before settling on selling crazy socks – an item that John was already very passionate about! They just leaped into the idea: building a website, buying some inventory, and seeing if people would buy from them. The only marketing they did was starting a Facebook Page. They got a flood of local orders, likely people who knew them from the community and knew John from school. Because all of the orders were local, they decided to do something special – home delivery! They took it a step further and John filled the boxes with candy in addition to the socks and knocked on doors to make the deliveries. People LOVED it. John's Crazy Socks is a social enterprise. They have both a business mission and a social mission and they are indivisible and support each other. If they were just selling socks, they would not be as successful as they are… but, if they set up with a social mission only (like a charity) they would not have the impact that they do now. Years ago, when their kids were younger they made decisions to work from home and choose a lifestyle that allowed them to spend more time with their kids – but now they're more focused on building a larger business with more impact – hiring employees, etc. John's official title is “Chief Happiness Officer.” Their simple mission is to spread happiness. They have created 35 jobs and 18 of those are held by people with differing abilities. They want to show what people with differing abilities can do. They host school tours and workgroups. They have started taking on speaking engagements together. They give back 5% to the special olympics, a cause John is a special olympics athlete. They have over 1900 different socks! They do same day shipping – if it's in by 3pm it goes out today. They are competing with the Walmarts and Amazons of the world. When you get a package there will be a sticker on it identifying who picked & packed your order. So, when you buy from John's Crazy Socks, you're getting great socks but you're also buying into happiness and the experience. World Down Syndrome Day is March 21st and people actually celebrate by wearing crazy socks. They were shocked to find out that official Down Syndrome Awareness Socks did not exist – so John designed them! John has some advice for those who are considering entrepreneurship: follow your dreams, make the best of your life… he knows we can do it! Marks advice for parents is to encourage independence in your kids. Allow them to fall and fail – because it's through that process that they will be able to grow and develop. As parents we should ensure that they know the choices that they have – and allow them to think about careers in different ways. We should also ensure they understand the consequences – understanding that entrepreneurship might mean “lean times” for a while. Don't sell your kids short – especially if they have different abilities – don't be over protective. Let them fail, and let them learn things. For a child with differing abilities it might mean creating opportunities – just do it! Welcome John and Mark X. Cronin, the father and son co-founders of John’s Crazy Socks, a venture inspired by John, a young man with Down syndrome. John’s affinity for crazy socks paired with his love of making people smile made their mission clear: spreading happiness. John’s Crazy Socks is a social enterprise with both a social mission and an e-commerce mission. Every day, they want to show the world what people with differing abilities can do. They’ve created 35 jobs, 18 held by people with differing abilities. And they have shipped over 120,000 orders, earning over $4 million in revenue. Doña Bumgarner is a coach, mama, and artist who will join us to discuss doing meaningful work and also being awesome moms – even when it feels impossible to balance all the pieces. She brings her skills as a coach and a project manager to the table through 1:1 coaching to help parent entrepreneurs focus their time, attention and energy so they can confidently pursue their passions, make a difference in the world AND be present and engaged moms. Kathryn Moorhouse is my go-to Pinterest expert and she's dedicated to helping entrepreneurs grow their businesses using Pinterest! She has become the go-to expert for helping high performing entrepreneurs grow their audience and income using Pinterest. As an entrepreneur herself, she understands the ins and outs of marketing an online business, and her passion for Pinterest has led to an expertise in that niche. Join Kathryn and I next week to talk about Pinterest strategy, marketing, and hear the fun story about her international move alongside her fellow-entrepreneur husband.